Our product the Silk sheet light diffuser has the excellent aesthetics of a real silk surface with a glassfiber backing sheet. It provides artistry and beauty when combined with back-lighting or indirect lighting. The silk sheet light diffuser is silk embroidered textile attached to the non-woven glassfiber backing sheet that is highly flame resistant. It is a light diffusing material for lighting devices and gives off a more moderate and artistically elegant light contrasting the silk pattern design. It is highly flame resistant. It provides an artistic beauty of silk eimbroidered suface. The silk textile of natural pure silk has the following limitations. 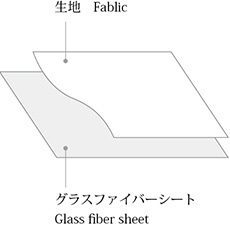 There are parts in two side of fabric edge. This part is different from the pattern of main body of the cloth. The backing process makes natural fabric slightly “twisted”. Especially lattice designs or vertical stripes can be seen small difference between matte panels. 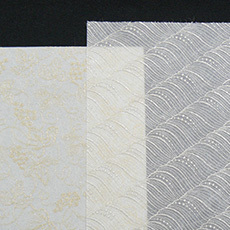 A unity of perfect lines is not completed on natural silk textile. The delicate silk, natural material, may have slight distortion of pattern and dyeing speck. Please check the caution about safety, environment conditions. ①Don’t use it under the condition direct sunshine without any roofs. ②Don’t use it on the place where exposed to water edge protection coating. ③Don’t use nearby the stove.